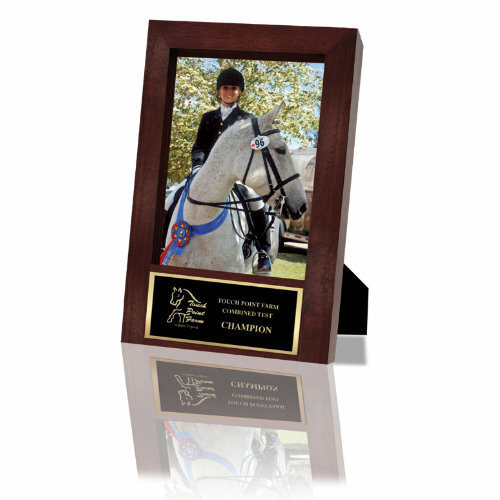 New Equestrian Products- Check ’em Out! For those of you that were reading carefully, you may have noticed a few new products slipped in to our 2010 Equestrian Catalog. At Hodges we try to keep an eye on new and different awards that stand out yet still fit in with our long-standing commitment to quality. 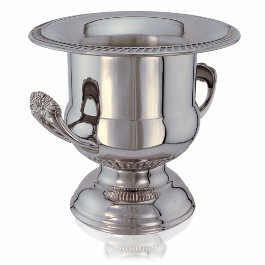 At the top of the list is our new selection of Pewtarex™ plates, bowls, and trays. 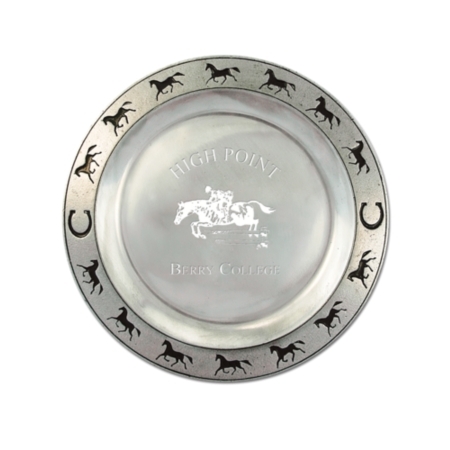 (Side note- I just love the horse print along the rim!) These hand-finished pieces are a hefty and durable award or gift. For dog lovers, watch for the dog line of Pewtarex™ coming out with our new Dog Catalog in May. 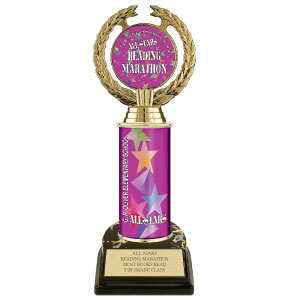 The other major addition is our new line of trophies. 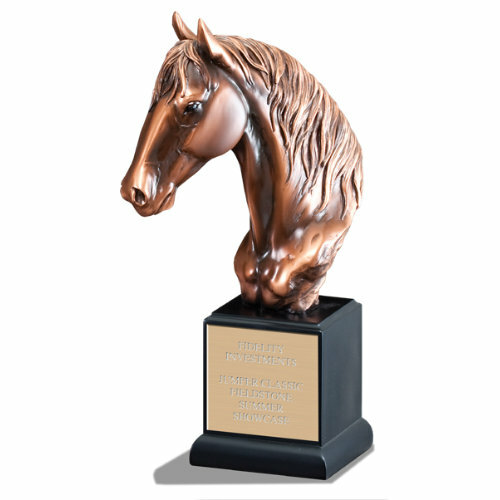 All sizes of equestrian trophies are available in black faux marble, ruby faux marble, and walnut finishes. 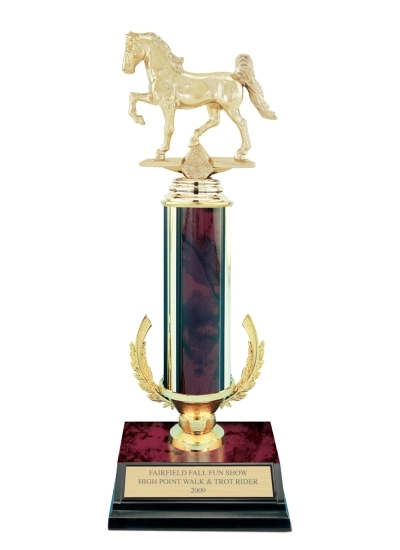 Trophy tops come in a variety of English, Western, gaited horse and breed designs. 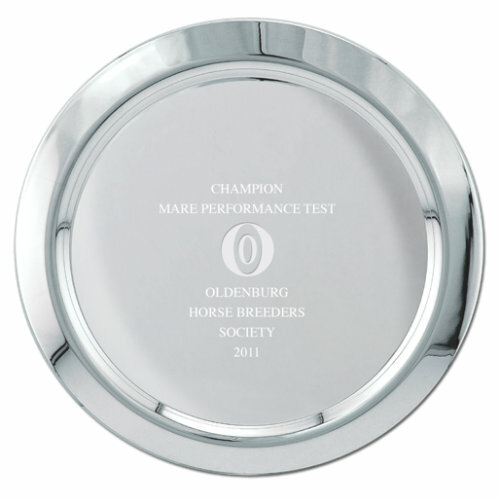 Prices start at just $6.00 and include engraving on the attached gold plate. 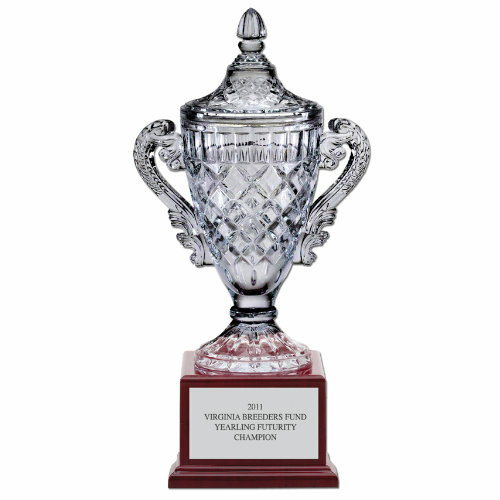 This is the 12" trophy with Ruby Red finish. We have also introduced a new rosette, the Malden. 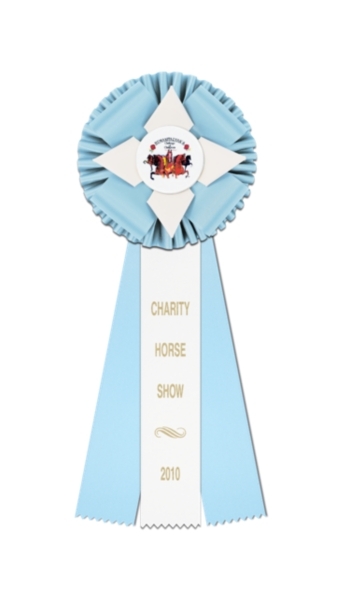 With Dorset points inside a 6″ ruffle, we think the design is a classic. Last, but not least are our multicolor stock ribbons. 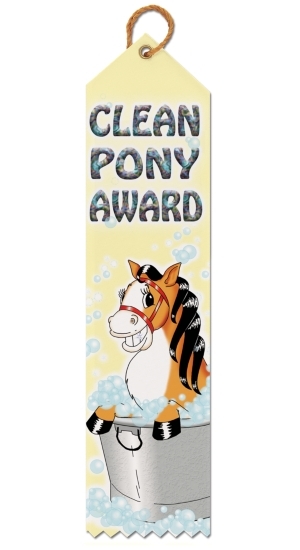 With fun, creative designs, like Dusty Bottoms and the Clean Pony Award, they are a great award or for children in your riding program, camp, 4-H group or Pony Club.